January 19, 2012 – I have received six telephone calls today, two from Beirut and four from various Syrian cities. All have confirmed that fighting in Zabadani ended last Tuesday with the army overrunning the papier mache fortifications set up by the deserters who were either killed in the fighting or taken prisoner. 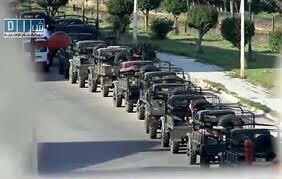 Those who tried to escape into Lebanon were dissuaded and forced to return to Syria by the Lebanese army. The BBC and the NYT have tried to build up this story for no reason we can think of. We know that the Syrian opposition is asking for foreign military intervention because the handwriting is on the wall: the Syrian dissenters are being withered away by the sheer force and cohesiveness of the Syrian army. Burhan Ghalioun has been told by the French that his situation is hopeless. The Turks have told former Colonel Riad Al-As’ad the same thing. The Russians have also made it clear that no anti-Syrian resolution can advance in the SC without a Russian veto. 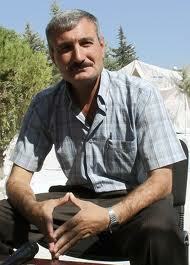 This is former Syrian army colonel Riad Al-As’ad sitting in Turkish-Occupied Syria – the Province of Hatay. You see him here without a noose around his neck. On Wednesday, Russian F.M., Sergei Lavrov, delivered a jaw-dropping blow to American virago and perennial diplomatic non-entity, Susan Rice, when he told her that weapons and ammunition sold to Syria by Russia are consistent with international law. He also assured the world that no action could be taken against the Syrian government without a veto. But he did say that Russian could not stop a coalition of military forces if a decision were made to intervene. Of course, you all know by now that no one can intervene militarily in Syria. I’ll be seeing the WSU student production of “The Tempest” tomorrow. I’ll also report to you on the situation in Damascus. Ta ta.